Low (1) Generally safe avalanche conditions. Watch for unstable snow on isolated terrain features. Moderate (2) Heightened avalanche conditions on specific terrain features. 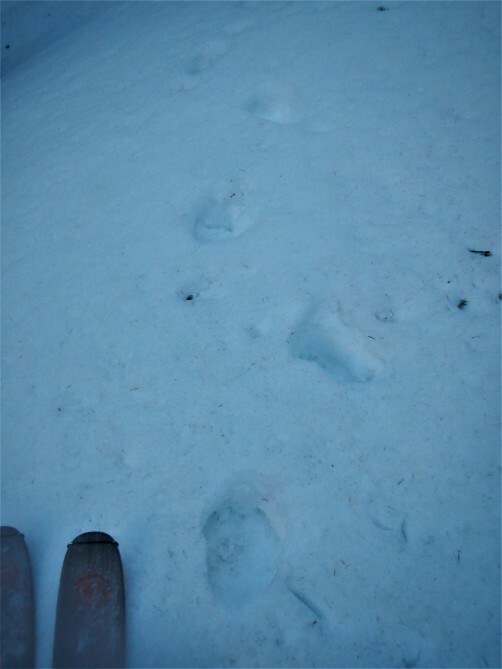 Evaluate snow and terrain carefully. Low (1) Generally safe avalanche conditions. Watch for unstable snow on isolated terrain features. Low (1) Generally safe avalanche conditions. Watch for unstable snow on isolated terrain features. Avalanche conditions are generally safe today. A decent freeze last night, cooler temperatures, and cloudy skies will help reduce wet avalanche concerns near and below treeline. Continue to avoid slopes with unsupportable, hollow snow. These conditions are more prevalent on slopes with lots of vegetation or near rocks. Don’t let your guard down by LOW (1of5) danger and get surprised by triggering a small slide in drifted snow at higher elevations. Continue to assess steeper slopes or couloirs before you commit to them. Be mindful that even a small slide in extreme terrain can be dangerous if they knock you off your feet and take you for a ride. Also beware of looming cornices that are starting to crack along ridges. 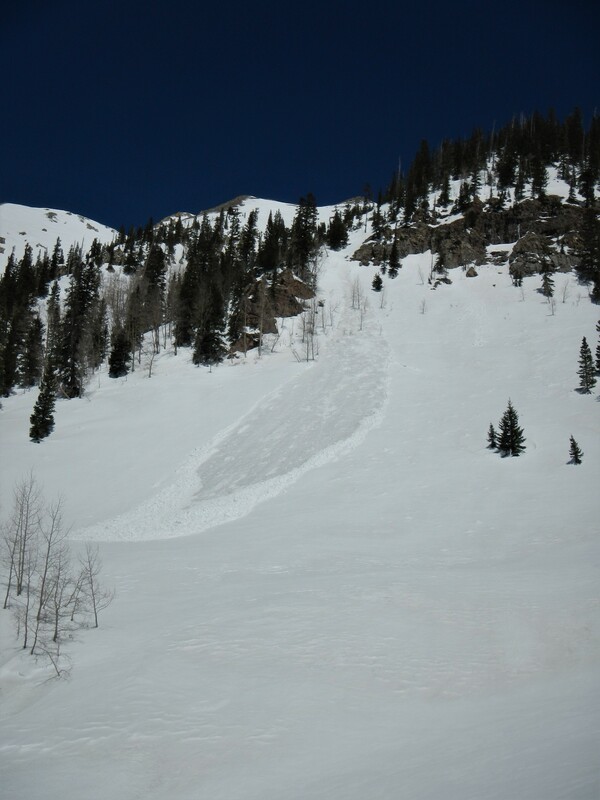 A cornice failure onto a slope can trigger a larger avalanche. 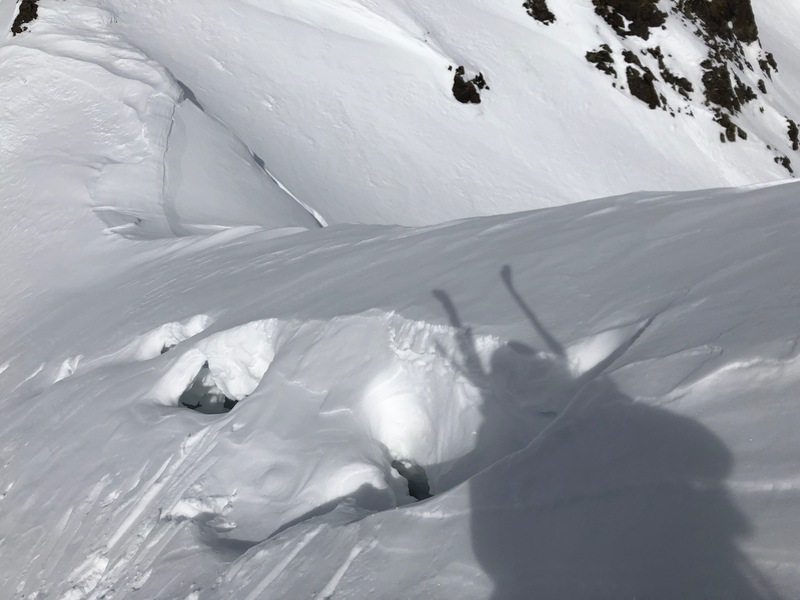 Give cornices a wide berth as they can break further back onto ridgelines than you might expect, and try to plan routes that avoid traveling under them. Snow showers this afternoon will transition to moderate snowfall overnight. By tomorrow morning, up to six inches of snow favoring the Wolf Creek Pass area with wind will shift our attention to dry snow avalanche problems. Temperatures Sunday climbed into the low fifties below treeline, mid to upper forties near treeline, and low thirties above treeline. Despite fairly warm temperatures yesterday, a strong freeze Saturday night and cloud cover in the afternoon kept widespread, loose wet avalanche problems from developing. The North San Juan zone experienced another strong freeze Sunday night. The South San Juan and Sangre de Cristo zones were a bit warmer but did experience a decent freeze near treeline. Cooler temperatures and increasing clouds today ahead of our next storm system will keep snow surfaces cool, reduce wet avalanche concerns, and make for generally safe avalanche conditions. Variable snow surfaces should be anticipated today in the Southern Mountains. Sunny slopes that easily warmed up and became soft in recent days will have a difficult time softening up and may stay frozen. Slopes with the best chance of becoming soft will be found at lower elevations or near treeline slopes sheltered by the wind. In the alpine, recent winds and warm temperatures have created chalky snow on shady slopes and a crusty surface on sunny slopes. 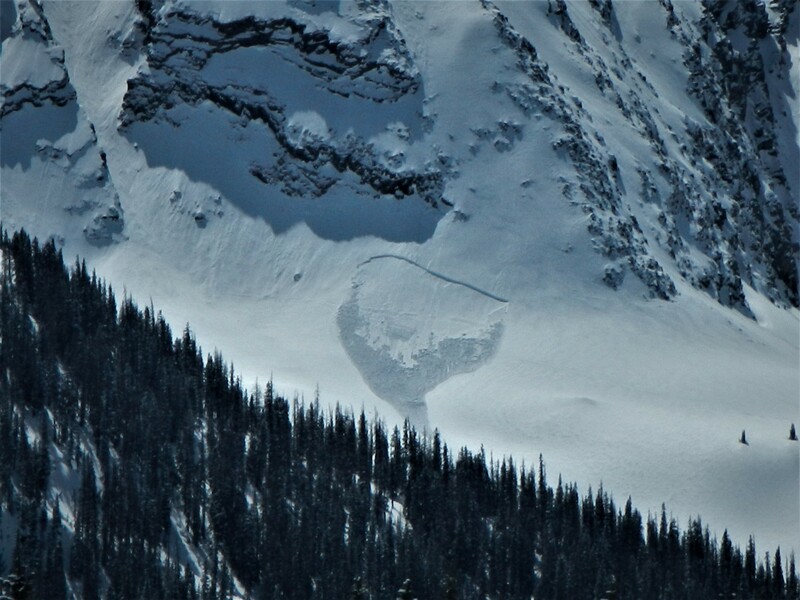 Continue to avoid slopes where you find unsupportable, hollow snow as this could be a sign of a bigger and more dangerous wet snow problem – Wet Slab avalanches. Slopes with lots of vegetation or near rocks are where you’re most likely to find these conditions. With lots of water running in our creeks below around 11,000 feet, many waterfalls and slides have opened up. Be mindful of these if traveling through drainages and look for cracks as clues the snow surface is becoming weak. Besides wet avalanche issues, you should also be wary of overhanging cornices. In the Gunnison zone, observations have come in of some large avalanches triggered by cornice fall. We also received a report over the weekend of a very large crack behind a cornice along a ridge line in the Vail-Summit zone. Although we haven't heard of any such avalanches triggered by cornice fall in the Southern Mountains to this point, we can't ignore this evidence that cornices may be getting unstable. The springtime weather roller coaster continues. A closed-low storm system tracks south of the Southern Mountains today and overnight bringing a return to snowy weather. This system looks to favor the eastern portion of the South San Juan and Sangre de Cristo zones. New snow combined with southeast winds may form soft, shallow wind slabs on atypical slopes by tomorrow morning. Stay tuned.